Fujairah, Sept. 22nd, 2016 – Fujairah, which hosts the Middle East’s largest commercial storage capacity for refined oil products, will start publishing weekly inventory data as part of a transparency initiative to help establish the emirate as a global energy trading hub with the region’s first oil products benchmark in due course. In recent years, the Gulf has seen the growth of an array of key features that support the need for the establishment of a world-class oil trading hub. The region has become a major logistics hub, with pipelines, vast storage and several deep-water ports. It is supported by growing financial centers and now the majority of banks, oil companies, multinationals, national oil companies and commodity trading houses. The region is also in the midst of a refining construction boom, with more than a million barrels a day of capacity added in recent years. “Today Fujairah sits at the heart of the new energy corridor opening up East of the Suez Canal to Asia, and not only is it a world-scale bunkering and oil products storage center—it is now also becoming an important crude oil export center,” said His Excellency Suhail Al-Mazrouei, Minister of Energy, United Arab Emirates. “This transparency initiative will play a key role in Fujairah’s evolution from a key logistics hub for the region into a trading hub for global energy markets,” he said. 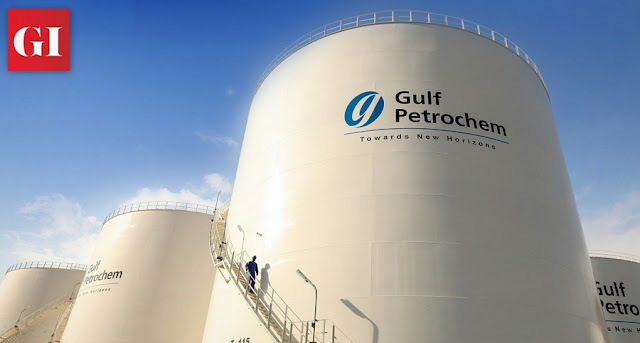 The UAE’s only emirate on the Indian Ocean with oil export facilities is fast catching up with Singapore in the area of Private Tank Storage which is expected to reach 9 million cubic meters this year and exceed 14 million cubic meters by 2020, with most of its dozen storage operators expanding capacity including VTTI, owned by the Vitol Group. Other projects underway include plant expansions by Fujairah Oil Terminal and Gulf Petrochem, and land allocation to Concord Crude Oil Terminal Company for a 1 million cubic meter crude & products storage terminal. GPS Chemoil, a joint venture between the Singapore-listed marine fuel supplier and trader Chemoil Energy and Gulf Petroleum Supplies, may add 200,000 to 300,000 cubic metres to its existing 700,000 cubic metres capacity.Fujairah’s crude offering is ever-widening as well, such as Murban, Basrah Light and Masila from Yemen on its product list. “Further to the discussions with all Fujairah terminals operators, we are pleased to have reached a consensus on publishing Storage Data on a weekly basis, while protecting the confidentiality of terminals and traders through the anonymity provided by the publication of aggregated oil product volumes,” said Dr. Salem Abdo Khalil, Technical Advisor, the Government of Fujairah. Fujairah has taken the initiative to start publishing weekly data sets to replicate the standards being provided by terminal operators in the world’s leading energy trading hubs of Rotterdam and Singapore, such as an aggregate breakdown of fuel oil, residuals, middle distillates and light ends. The project is aligned with the UAE Government’s 2021 Vision to adopt an Open Data practice to make government data and information seamlessly available to the public. “Visibility provided by regular and publically available data is a key ingredient of successful liquid trading hubs around the world,” said Dave Ernsberger, Global Head of Oil Content, S&P Global Platts. “Publishing data reduces the market opacity and enables traders and investors to see the opportunities and risks more clearly, thus enabling them to develop cohesive trading strategies,” he said. The importance of Fujairah as an emerging global energy hub on the new south-south corridor East of Suez was also bolstered this week by the opening of the UAE’s first very large crude carrier (VLCC) jetty on the Indian Ocean, as well as Platts announcement that it will publish independent, outright price assessments for a range of oil products for the Middle East market on a Free-On-Board Fujairah basis starting October 3, 2016. The strategic location of Singapore at the Straits of Malacca means that it serves as the hub for North- and Southeast Asia where trading companies store oil for blending. Fujairah could become the storage hub for trading to the Gulf, Africa and the Mediterranean. There is a growing desire to see the Gulf market develop, as the domestic downstream markets in the region post some of the strongest growth figures of any in the world and the Gulf’s refining construction boom looks set to continue. The soaring regional demand for jet fuel, naphtha, diesel, gasoline and fuel oil are propelling demand for the need to establish an independent oil products benchmarks in the Gulf rather than continue with current model where products are priced off a Singapore benchmark.